Dear Blog, Please: Remember Me. Here’s a Plugin for that. 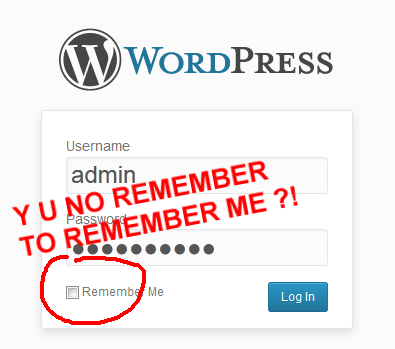 I wrote a simple WordPress plugin to address a simple problem: every 2 weeks, on every computer I'm working on, I have to login again to my blogs and, oh the annoyance, click the "Remember Me" checkbox because by blogs can't remember to remember me. Longer auth cookie expiration (one year instead of 2 weeks) and always checked checkbox: that's Always Remember Me. Post: Dear Blog, Please: Remember Me. Here’s a Plugin for that. «Previous post: Got Git Tshirts?